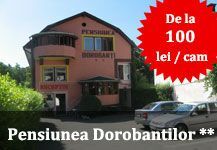 Mărăşti district is one of the most circulated districts of Cluj Napoca, located in the north-east of the city, near the exit to Targu Mures and Bistrita. There are many facilities offered for residents and tourists, including shopping centers, banks, private clinics, universities, student residences and recreational areas. 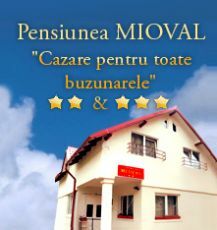 Among the places you can visit here include the Church of St. Peter and Paul, Expo Transylvania Exhibition Hall, The Paintbrush Factory and premises of the Faculty of Law of Dimitrie Cantemir Christian University and the Faculty of Economics and Business Administration from the University of Babes Bolyai. Mărăşti Square is the commercial center of the district where you can find many shops, pharmacies, bakeries, butcher and a private clinic. Also at the basement of the buildings there are various stores that offer clothing, footwear and household goods at very good prices. St. Peter and Paul Church was built in Gothic style in the mid - nineteenth century on the foundations of an older church dating from the fifteenth century. Initially, both inside and outside were decorated as Coronation Church Budapest actual appearance due to the changes of the years 1844 to 1848. In front of the church you can admire the imposing baroque portal, behind the statue of the Virgin Mary church. Paintbrush Factory is a place of creation and dissemination of contemporary art, which was established in early 2009 as an independent cultural center. The 29 contemporary art spaces, 40 contemporary artists and artists splints, 5 modern art galleries, 10 cultural organizations active in the field of visual arts, contemporary dance and theater and two theaters are housed under the roof of the former brush factory from Cluj Napoca. Paintbrush Factory aims to provide a community cultural program unit, to function as a space for discussion of relevant topics for the Romanian society and the city, to engage in strategic projects of the city and the (re) formulation of public policy, to be a reference to the city (brand). Expo Transilvania is the most important exhibition center in central and north-western Romania, with an activity of over two decades in Romanian industry fairs, exhibitions and other events. Here are organized fairs and exhibitions of the most diverse, including exhibitions in technical, medical, furnishings, gardening, jewelry or wedding. 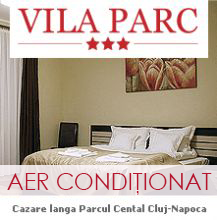 As a neighborhood with multiple facilities, accommodation is provided in Mărăşti by many hotels, hostels and apartments for rent that and offers accommodation for all tastes and possibilities.